Minerals due to the body’s needs are divided into two groups: macroelements and microelements (trace elements). Macroelements are elements whose daily demand exceeds 100 mg. The daily requirement for micronutrients is not more than 100 mg.
Calcium is part of the bone and enamel building material. Calcium is constantly subject to changes involving incorporation into bone and enamel and resorption. It plays a role in the conduction of nerve impulses, the mechanism of muscle contraction, permeability of cell membranes, in the regulation of the blood coagulation process, the regulation of heart rhythm and the absorption of vitamin B12, affects the control of blood pressure. The correct concentration of calcium reduces the risk of heart disease, strokes, colorectal cancer and kidney stones, is part of many enzymes. Cheese, cheese, white, milk, sardines, watercress, eggs, cabbage, meat, potatoes, beets, legumes, nuts. Calcium is expressed in food tables in milligrams of mg. The correct calcium intake in childhood and adolescence ensures proper ossification and calcification of the skeleton and minimizes the risk of osteoporosis at a later age. It is the main component of secretions and excreta, it is part of digestive juices in the digestive tract (gastric juice and saliva), participates in the regulation of water management in the body and acid-base balance. Salt, cheese, sausages, food produced with the participation of salt. Chlorine is expressed in food tables in milligrams mg or grams g.
The body’s need for chlorine from food and its losses from the body are similar to sodium, so the recommendations for both elements are the same. Magnesium participates in the construction of bones and teeth, has a part in the process of seeing, fulfills an important role in the transmission of information between muscles and nerves, participates in metabolism, in the synthesis of nucleic acids and proteins, in thermoregulation, lipid metabolism, inhibits blood clotting (protects against clots in the vessels, clots in the heart – protection against heart attack), is an activator of some enzymes. Soy flour, barley groats, nuts, buckwheat, chocolate, cocoa, pumpkin seeds, beans, peas, corn, lentils, spinach, whole grain flour. Magnesium is expressed in the diet tables in milligrams of mg. In order to avoid the possibility of overdose, the source of this mineral should be food. One chocolate bar provides about 20% of the daily adult’s requirement for magnesium. Ingredient of bones, teeth, high energy compounds, nucleic acids, cephalin, lecithin, cell membranes and blood. He participates in the construction and maintenance of the proper condition of teeth and bones; in the regulation of acid-base balance, It plays a very large role in anabolic and catabolic processes, it participates in the burning of glucose. Dairy products, meat, fish, liver, eggs, cheese, peas, pumpkin seeds, beans, potatoes, whole-grain cereals, carrots. Phosphorus is expressed in the diet tables in milligrams of mg. The best proportion of calcium consumed to phosphorus is 1.81, which corresponds to the proportion of these two minerals in human milk. Such a proportion will certainly protect our body against bone loss. 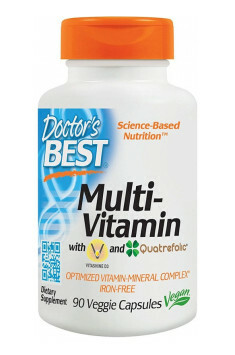 You can read also: Why magnesium is so important in daily supplementation?